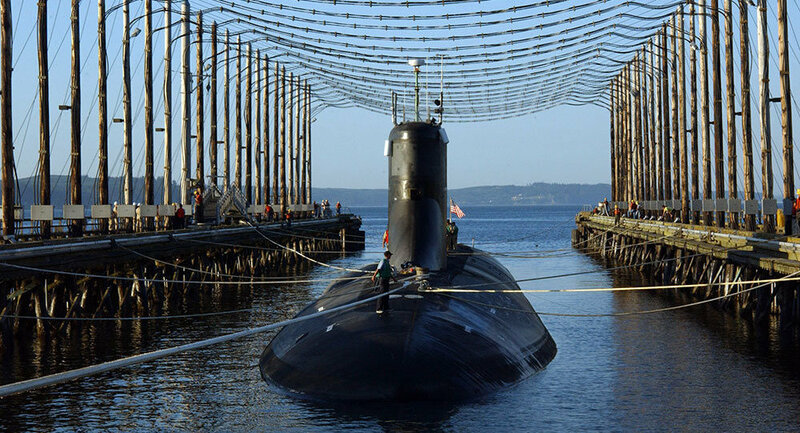 New Delhi (Sputnik) — India's indigenous 6000-ton nuclear-powered submarine INS Arihant is back in the water after remaining idle for a year, due to an accidental breach which allowed water to enter the ship. A highly placed source told Sputnik that the submarine has been repaired and made available to the Indian Navy as the damage was not substantial, contrary to initial fears. The accident reportedly took place when the INS Arihant was at Vishakhapatnam harbor in late 2016. The outer hatch of the submarine is believed to have been left accidentally open, leading to ingress of seawater into the vessel. It was feared that the water damaged a part of secondary highly radioactive coolants; any defect of which could have had a direct impact on the reliability and performance of the plants and also dangerous for safety purposes. With the commissioning of INS Arihant in August 2016, India joined a select group of countries (USA, Russia, China, France and the UK) which builds and operates Ship Submersible Ballistic Nuclear (SSBN). The second SSBN under the project, INS Aridhaman, is undergoing sea trials. Earlier on Monday, a report published by the Indian daily The Hindu claiming that INS Arihant was still lying idle almost a year after the incident, had caused a storm of a controversy because it came at a time when another nuclear submarine leased from Russia is already undergoing critical repairs following a serious accident in August last year. The sonar of the nuclear submarine Chakra (Akula-2 class) was reportedly damaged and two panels were dislodged during the accident. — Ankit Panda (@nktpnd) 8 января 2018 г.